Previous stuff on this here. 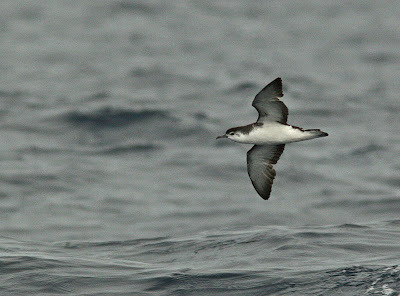 A few more Azores shots. There is a regular winter flock of Ring-billed Gulls on Terceira (up to 50+) which presumably migrate to and from the US on a routine basis. That's more or less it for the Azores winter now- back to Beddington next. There have been some interesting local developments. Markku Santamaa and Keijo Wahlross found this juvenile gull on Terceira a couple of days ago. Considering the location of the bird and the fact that American Herring Gulls are regular on the Azores, the various pro-AMHG features could be presented as a convincing argument to confidently label this bird as an American Herring Gull. 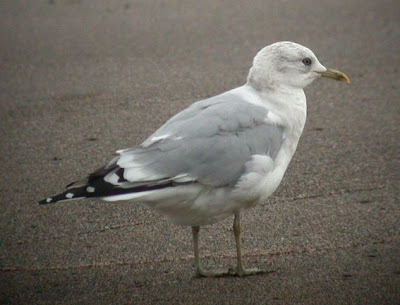 However if we were to apply strict criteria the undertail coverts on this bird have widely spaced barring and not the barcode barring which is generally regarded as an essential feature to secure a WP identification for American Herring Gull. Also is the bird a bit too pale - could that be a Glauc or Thayers influence? What if this bird was seen in Northern Europe- would it get through a rarities committee with those undertail coverts? Also can we certainly exclude a gull from Iceland? RINGED MED GULL ON THE AZORES- RESULT. This bird was ringed as a pullus on the 17/06/2010 at Hellevoetsluis, Slijkplaat, Zuid-Holland. 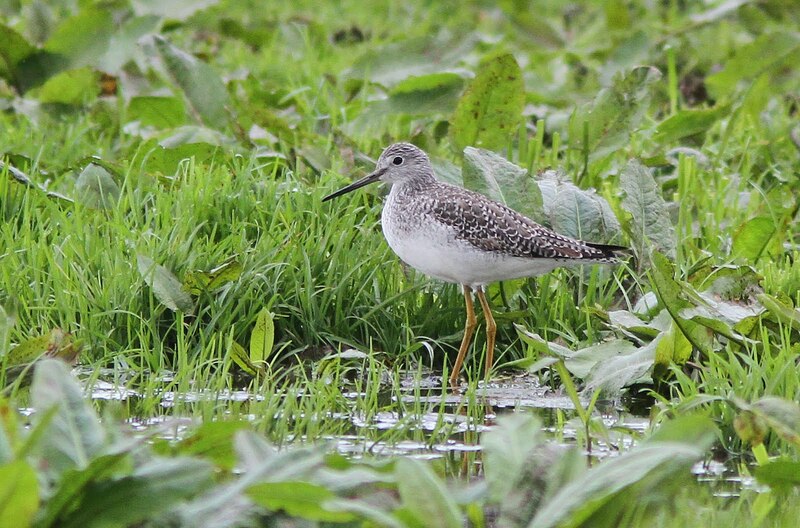 The first sighting of this bird was then on 16/10/2010 at Great Yarmouth seafront, Norfolk and then not seen / recorded until last week when on Praia da Vitoria beach, Terceira (via Simon). Sandwich Tern or Cabot's Tern? Trying to work out if this bird can be identified as either a Nearctic or Palearctic bird. Simon and I came across it last week on the Azores. The answer is actually on the bottom of the left leg but I can't read it! This morning was the last day for me- although Simon stayed for another day and there is a steady flow of observers twitching the heron over the next few weeks. 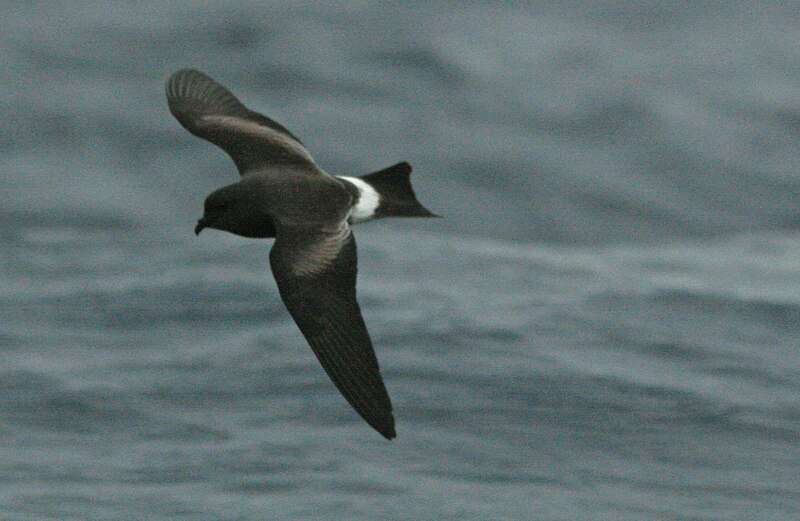 That gives us 4353 Palearctic birds to 48 Nearctic birds and 12 either/ors. Two Azores ticks today- Slavonian Grebe and Pink-footed Goose. Yellow-crowned Night Heron, Angra Harbour, Terceira, last night. 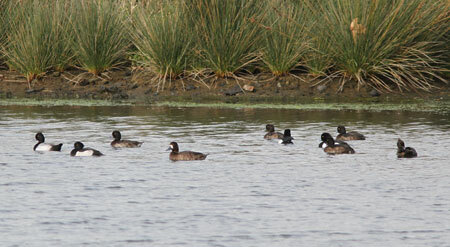 A first for the Western Palearctic. Another great day on Terceira. Finally saw the 'herring gull' well enough today to confirm it as an American Herring Gull. The Great Blue Heron showed itself this morning at Paul da Praia. 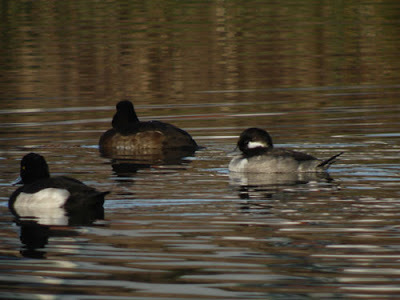 Top to bottom: 1) Bufflehead, Lesser Scaup, Greater Scaup and Tufted Duck, 2) White-winged Tern, 3) Greater Yellowlegs , 4) Ring-billed Gulls, 5)Ring-billed Gulls, Common Gull, Common Gull/hybrid, Black-headed Gull and Lesser Black-backed Gull. Yellow-crowned Night-Heron was visible last night feeding on the waterside rocks of Angra, Terceira-visible in the street lights. We watched it until about 10pm- brilliant bird in an evocative nocturnal setting. 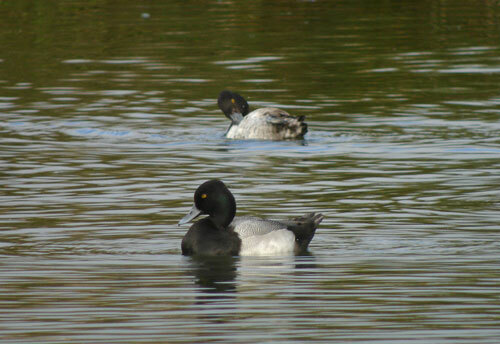 I spent the rest of yesterday around Praia- Lesser Scaup, Great Scaup, Blue-winged Teal, Lesser Yellowlegs, an American Herring Gull/hybrid, 5 Ring-billed Gulls, 4 Mediterranean Gulls and American Coot. Short-billed Gull, Terceira 2003. A first for the Western Palearctic. 1st winter Ring-billed Gull and Forster's Tern, Terceira 2003. Juvenile American Herring Gull (rear) and 1st winter Azorean Gull, Terceira, 2005. 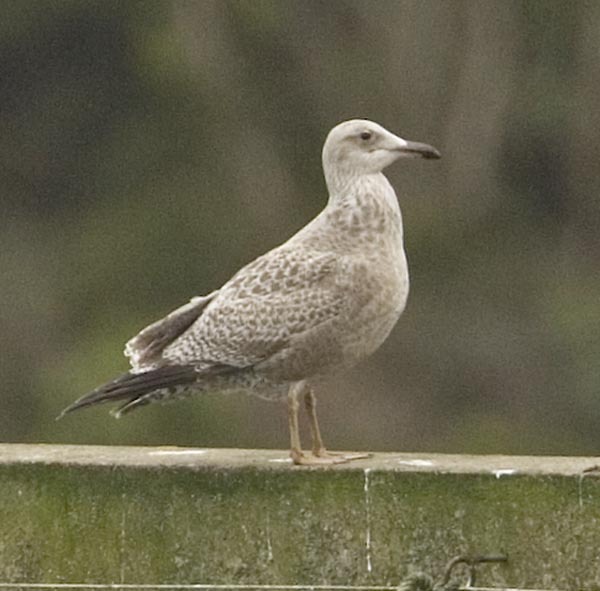 Juvenile American Herring Gull, Terceira, 2003. First winter American Herring Gull, Terceira, 2003. 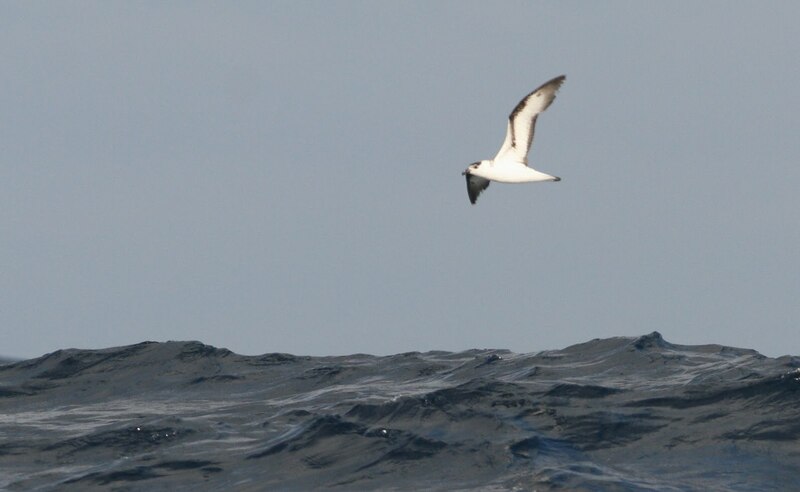 Off to the Azores next week to do a bit of gulling. Here are a few highlights of previous trips.